A project is a temporary endeavor undertaken to create a unique product or service. 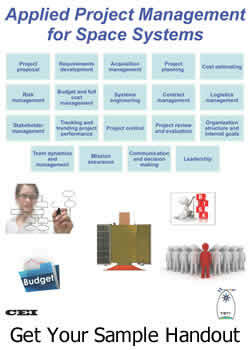 Project Management is the application of knowledge, skills, tools, and techniques accomplished through five linked processes for initiating, planning, executing, controlling, and closing work to meet a set of defined requirements. 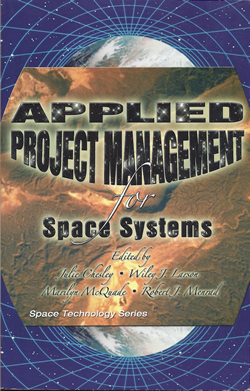 This project-based module exposes students to tools and methodologies useful for the effective management of systems engineering and engineering management projects. This course presents the tools and techniques for project definition, work breakdown, estimating, resource planning, critical path development, scheduling, project monitoring and control, and scope management. Reinforcing these fundamentals in project management, the course will introduce advanced concepts in project management, and establish the building blocks for the management of complex systems. 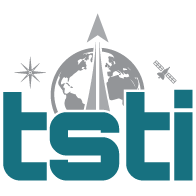 At the end of this course you will have the knowledge, tools and experience to enter any phase of the space mission life cycle and apply project management approaches to achieve practical results. This modular course combines lectures, classroom activities, case studies, and readings to develop an understanding of project management concepts and principles for complex systems. A project assignment allows participants to integrate and apply their knowledge. This course is of particular interest to systems engineers, project managers, integrated product team members, business managers, and contract administrators. People who are involved with any aspect of system and business analysis, design and development, mission capability and business process definition and architecting, and test and verification will find this module to be useful.